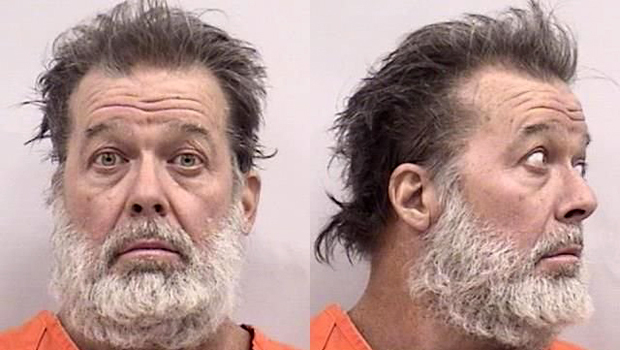 WASHINGTON -- A law enforcement source shed new light Saturday on the possible motivation of the man suspected of opening fire on a Planned Parenthood facility in Colorado Springs, killing three people and wounding nine others. The source told CBS News justice and homeland security correspondent Jeff Pegues that as Robert Lewis Dear was being taken into custody after a five-hour standoff he said "no more baby parts." Dear, 57, was being held without bond at the El Paso County Jail. He was expected to make his first court appearance Monday. The source said Dear has been cooperating with investigators since he was arrested. But throughout the interrogation, sources said Dear has been behaving erratically. In addition, investigators have interviewed the suspect's family members, who have described him as "weird" and "unpredictable." Sources also said the long rifle Dear allegedly used Friday wasn't the only weapon he had with him and that Dear took several guns and ammunition to the scene as well. Law enforcement sources also said there were propane tanks outside his car. Investigators believe his intent was to fire on the propane tanks to spark an explosion, which in the end he was not able to do.